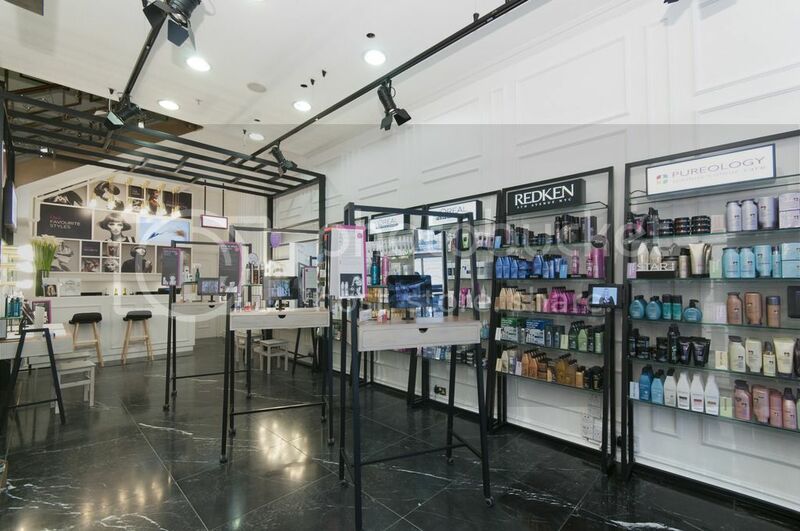 After cutting my hair shorter, I visited the new Hair Gallery at the House of Rush in Piccadilly for a fantastic styling masterclass. 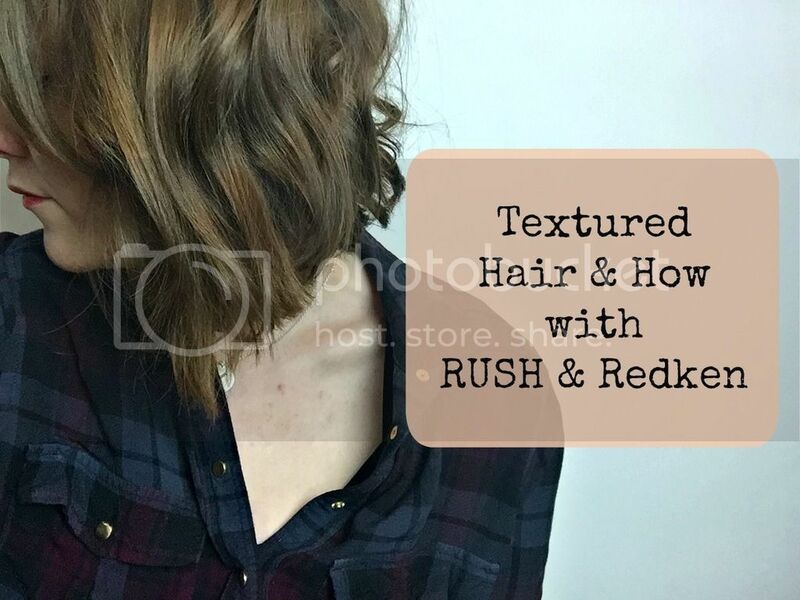 I like wearing my new bob style in a shaggy, rough style letting my natural wave show (with a little help from my faithful H2D tong) so the done undone masterclass was perfect to give me some tips on how to get the textured look I was after. Whilst I was with one of the RUSH experts, they recommended giving my randomly tonged pieces (they used the ghd Curve Classic Wave Wand - which I really need to get my hands on now) of hair, a blast with Redken Wax Blast 10, a great way to add some grit without making hair heavy -full review coming later this week. Using a spray means you can lightly go over areas of hair and using your hands move hair, and twist pieces between your fingers for added definition. I was sold! It's been ages since I've been so impressed with a hair product. My RUSH hair expert told me it's best to hold the tong so the tip is directly pointing towards to the floor, and when wrapping your hair around, leave the ends out to give a more undone look. A quick blast of hairspray will help to hold. It's all about using products to help the undone style, but avoid an over styled look. You can have your own 45 minute masterclass and get some great expert advice at the Piccadilly salon, give them a call to book in. It's a great way to learn a new style and ask as many hair questions as you want. I'd love to go back and have one every week, it's still great picking up new tips even if you are a stylist yourself. 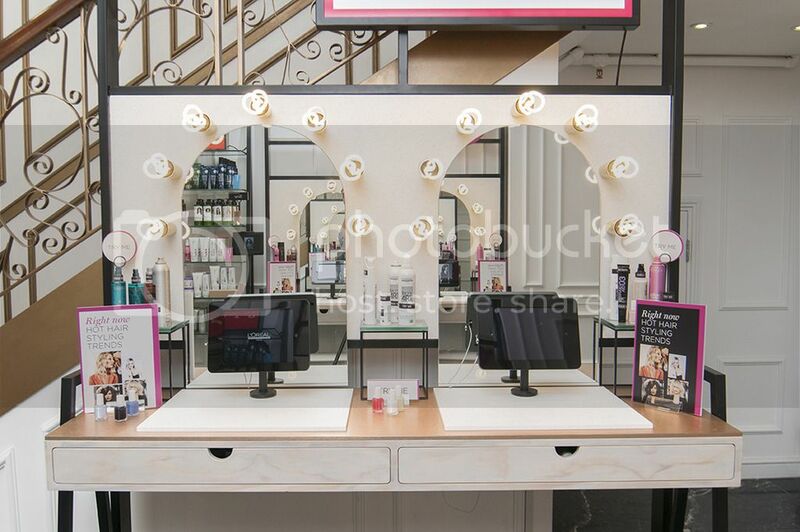 I love the little styling stations with lights around the mirror, and the handy tablets showing videos of different looks you can achieve.